Essentially, this book uses Blender 3D as a platform to teach 3D fundamentals and workflow. potential applications and benefits of using Blender. manageable and digestable pieces of exercises. make such assumptions and mistakes. Many of the exercises are accompanied by supporting files that can be downloaded from the designated website. The book also introduces the usage of some add-ons (plugins) to get certain things done. If you already know Blender, this book may not be as useful, although one may discover a new trick or two. Blender as well as 3D in general. Blender 3D Basics is a 400 plus page book from Packt. It is written by Gordon C Fisher. The following is my review of this book. Essentially, this book uses Blender 3D as a platform to teach 3D fundamentals and workflow. The earlier portion of the book gave an overview with regards to the history of animation. It also made suggestion about potential applications and benefits of using Blender. The Book covers essential Blender knowledge via projects and exercises. Each section of the project is broken down as manageable and digestible pieces of exercises. 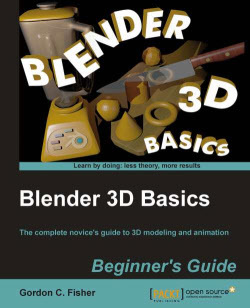 Compared to many other Books on the topic, Blender 3D Basics is relatively easy to understand. The author is thorough in the introduction of working principles and explains stuffs well. The style of writing do not take for granted that Readers already knew certain knowledge. With many software-related books, authors tend to skip through steps assuming that readers already knew how to do certain things, which at times can lead to Readers feeling frustrated. But Blender 3D Basics clearly do not make such assumptions and mistakes. Many of the exercises are accompanied by supporting files that can be downloaded from the designated website. The book also introduces the usage of some add-ons (plugins) to get certain things done. This book is not a reference guide and will not cover everything about Blender (is it even possible?). If you already know Blender, this book may not be as useful, although one may discover a new trick or two. However for someone who is new to Blender and 3D in general, this book is an ideal starting platform. With Blender being a software with a potentially high learning curve, Blender 3D Basics does a remarkable job of making the learning as easy as possible. Therefore, this book may prove to be a time-saver for some Readers. Due to the easy-to-understand style of writing, this book may proved beneficial towards a Newbies’ success in learning Blender as well as 3D in general.